Have you got any tips for teachers using Skype for Speaking classes? In this post I’m pleased to be able to feature an excellent, practical guide for teachers who are keen to use Skype for Speaking practice. And what’s more, you’ve got the perfect person to offer this advice: Tish Kirkland of Yes-IELTS.com who runs regular classes through Skype. Be aware of each other’s time zones. I’m in Brisbane, Australia, and Brisbane doesn’t change for daylight saving, which can be a problem if students think Brisbane is always in the same time zone as Sydney and Melbourne. Be particularly vigilant in March and October, when daylight saving time changes. I recommend keeping all other communication via email, not Skype. It’s easier to track emails than Skype chats. Set up your lesson times with the other person. I usually do lessons in batches of three and book in advance. Have your recording software, if you are using it, set up. Also open any word documents that you may use during the lesson. After your call has started, select “Do Not Disturb” while you are having a lesson. That way, you cannot be interrupted by incoming calls or messages. You will have to change to “online” to make a call or if the call gets dropped and you have to call again. Make sure other computer alerts are turned to silent (but don’t mute the computer). Use your computer’s recording software or download a suitable program. I use Garageband, but I have heard that Audacity is also good. If the quality of the call isn’t great, hang up and try again. Have a pen and paper ready to take notes of timings for the test. I usually use the recording software’s timer to keep a track of this. Accounts: Some people may prefer a separate account for teaching, but I used Skype regularly for contacting friends and family and don’t want the hassle of switching accounts, so I just use my regular Skype account. Contacts: I “star” my current students so that I can easily see in the sidebar if they are online. Picture: Use your picture or add your company logo to your picture. If the video isn’t working, it’s nicer to talk to a picture of a person than a logo. Video: If you are using video, check your backdrop and what is inside your screen frame before you use your video. Check by using Skype > Preferences > Audio/Video. Time & Date: Put a link to a time and date meeting scheduler in your profile. I use timeanddate.com and put it under “mood”. Scheduling: Book ahead. I send an email with my advance availability for 3 weeks. The student chooses 3 sessions, and then I email back to confirm. I use my iCal to invite students to the “meeting”, which acts as a reminder for them and for me. Don’t schedule lessons back-to-back. Leave at least 15 minutes between lessons for administration, coffee break, toilet break. Contingency: Have a backup plan. If Skype doesn’t work, then be flexible about changing the date/time or using Skype to ring the student’s mobile phone or landline (you’ll need credit for this). Use Skype’s message history to read previous corrections and feedback / keep a record. Make sure the student can see the message area (“chat” box). If not, tell them to hover the mouse under the video picture of you until they see the speech bubble. When correcting, I usually correct for the student as I listen to the recording, rather than asking them to make the correction, as they may not be aware of their mistakes. This varies depending on the level of the student and the frequency of the errors. I find that turning to video off sometimes helps with the quality of the call. A 45-minute lesson is usually long enough for speaking, as speaking takes a lot of energy. Remember to make a note of good things the student does as well, not just the errors. Save the recording for future reference. For easy reference, I save it with the name of the student, the date and (if I remember) the topic of Part 2. Picture 1. Click to enlarge. If you’d like to contribute an article for students or teachers working towards the IELTS Speaking exam please get in touch. I’ve got a 7 band for speaking in my previous exam and I am targetting for atleast[b] 7.5 – 8[/b] now I have booked my date on [b]20 August 2016[/b] . PLease message me to my whatsapp number [b]+919526590097[/b] if anybody is seriously looking for a[b] 7+ band[/b] and interested to be my speaking partner. Hello, I am going to face IELTS exam this August. Any can join with me for practicing any time. MY viber & wats up number is (+8801881449215) and skype (eng.barenbscme@gmail.com). 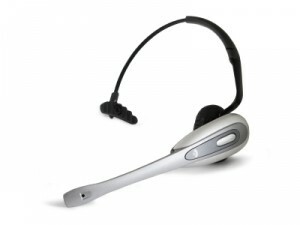 my Skype is ahmedjasim1984 and i need any one who would help me improving my speaking. i am preparing myself for ielts again,my speaking is 6.5 and i want to communicate with another person to improve my bandscore,please feel free to contact me,my skype is toloo 110. Hi Guys, I am from India (male) looking for speaking partner as my exam speaking exam is on 2nd June. My skype id is agrawals1984 and I am available on skype at any time from 7:00 AM IST to 11:00 PM IST on 28,29 May 2016. I am interested in speaking English with someone who has perfect accent. My score was approximately 6.5 a few months ago…but I need a partner to improve my speaking. My name is Nina. I am a Lecturer and a jurisconsult (on a volunteer basis). Currently I am living in Kyiv, Ukraine. I am writing you to find out, is it possible to practice speaking via Skype? I hope we will cooperate constructively in order to pursue our goals and mutual development. My goal is 7,5 ( Academic IELTS). Skype ID “ninylkaya”. I need serious partner for speaking. Hi all, I want to practice speaking for IELLTS test. My skype id :lachuman.sharma, time +6:30 and target of the score 7-8. From dubai.i am a beginner.my skype account is. tom.pattery. I’m From Melbourne Australia … need IELTS for immigration P.
My name is sushil and i got band 6.5 in last exam. Now i am aiming for band 7.5 for upcoming exam in February . I’m looking for a partner to improve my english for IELTS. Respected ones, i’m facing some issues in fluency and coherence, as well. Anyone here who seriously wants to practice please join me at Skype. I’m ready to prepare IELTS.. 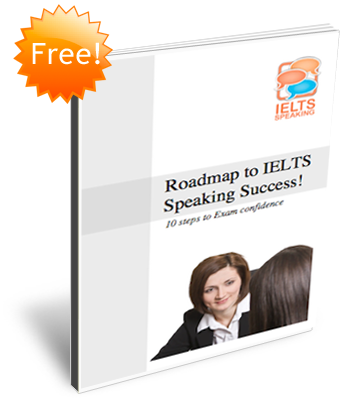 Looking for ielts speaking practice. I am targeting band 7. 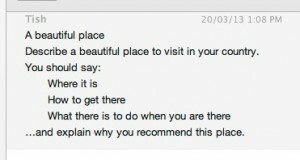 Hi, I have seen your comment on a website for IELTS speaking. I’m looking for an IELTS speaking partner. I am going to take ielts on 12 september 15. I need a speaking partner both male and female. Hello everybody! I really need a help. I’m very nervous to speak. So, I have to find a partner to practise IELTS speaking! Please, call me? Who can check and evaluate my speaking? Hi friends,I need a speaking partner for IELTS preparation. Please add me on skype, karthik.s23. I have to appear in IELTS exam for this i need practice specially in speaking module so plz join me as soon as possible. 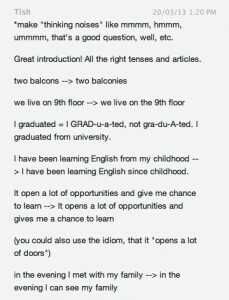 I am reallay eager to improve english. 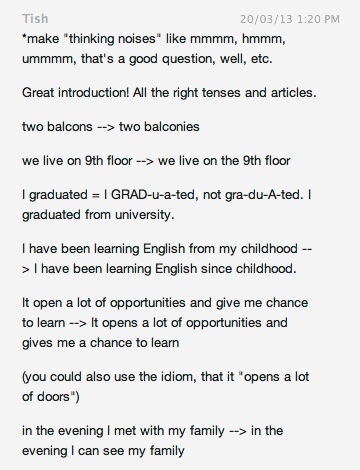 please feel free to contact me if you wanna improve English. I’m from Vietnam. I need a person to speak English. If u wanna talk to me, it’s my honor <3. 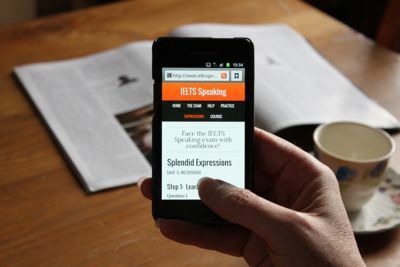 I want to practice IELTS speaking test and ti get 6.5 score of it. i need to practice english. so i need a partner. plz help me. my target score in 7.